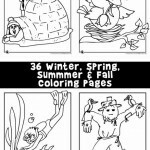 I felt a little guilty making these dentist coloring pages – my kids are totally overdue for a visit to the dentist. And so am I! Fortunately, going to the dentist is pretty different for kids these days than it was when we were growing up. They’ve got special pediatric dentists offices with play areas, TVs in the ceilings, and goody bags. Can you believe that kids get goody bags from their dentists?! Who knew that there were toothbrushes with pretty much every cartoon character ever created on them? It’s a great thing, though, as kids seem to have so much less anxiety about dentist appointments these days. It’s practically like going to a birthday party or something. Still, it’s not a bad idea to reinforce the importance of dental hygiene, whether it’s between visits or to get your kids mentally prepared for an upcoming appointment. These dentist coloring pages can help them get a better understanding of how to take care of their teeth, as well as what to expect when heading in to the dentist’s office. Did you know that right-handed people are more likely to chew on the right side of their mouths and left handed people are more likely to chew on the left? Tooth decay is the second most common disease in the US, second only to the common cold. The amount of spit that your mouth makes in a lifetime is enough to fill two swimming pools. Tooth enamel is harder than bone! In the “olden days” (early 20th century), braces were actually made out of 18-karat gold. 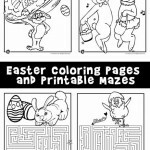 Check out all of our educational coloring pages while you are here!